The modern vanity cabinet set higher up with a floating feel gives it a look of furniture while not loosing the space of a traditional full size vanity. Rich colors also give the bath a very inviting feel. 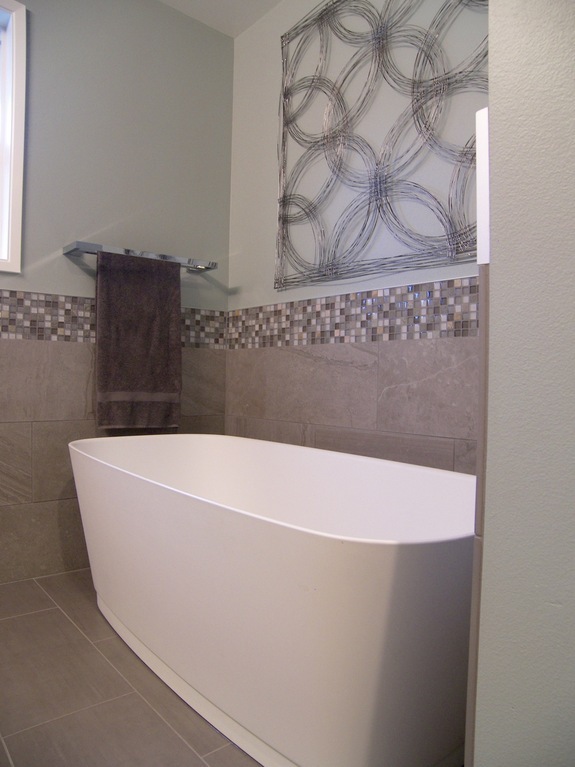 This Amazing Tub in a matte finish found at Best Plumbing in Seattle really sets off the space. 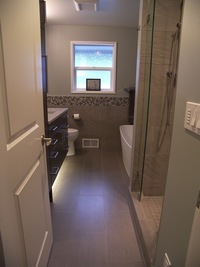 It's such a great change from the original traditional built in tub. The size of the shower was significantly increased for the clients. Before they had a very small size shower that was uncomfortable to use. By using part of a closet in the hallway and opening up the wall it allows for much needed space. 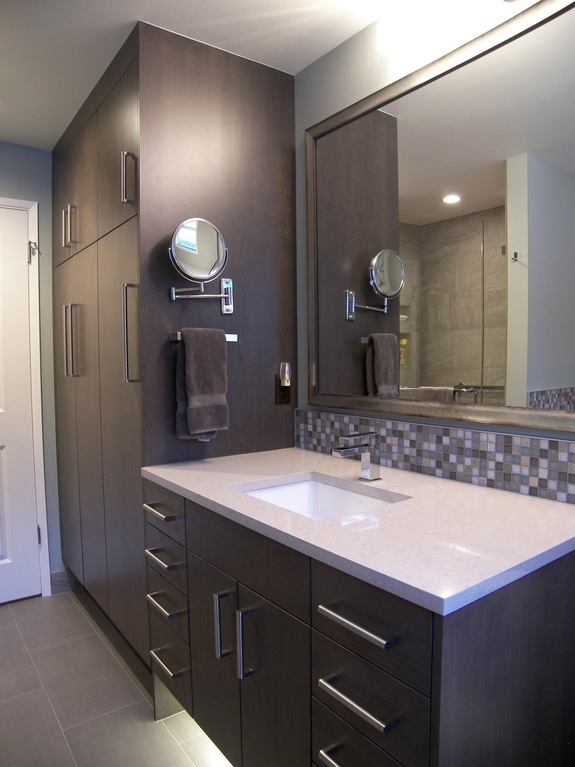 The cabinets were designed for more usable storage in this bathroom to the client's specifications. 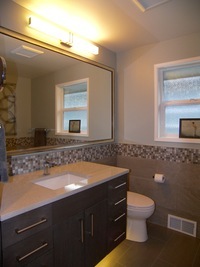 Along with the floating vanity the are dominate in the space but don't take over the bathroom.